Every exercise has its own benefits and doing only one exercise may not give you a completely healthy body and mind. Some workouts give you a perfectly shaped and healthy body while some of them even give you mental wellbeing. Strength Training is a popular method to improve strength and wellbeing. If you are struggling to add that one more push-up or squat to achieve your goal you can try the strength training. We all know that gaining muscle mass without using steroids or medicine is the best way to go. Now, let us see what is strength training. This is the method of improving anaerobic endurance, strength, and skeletal muscle size with the help of muscular contraction. 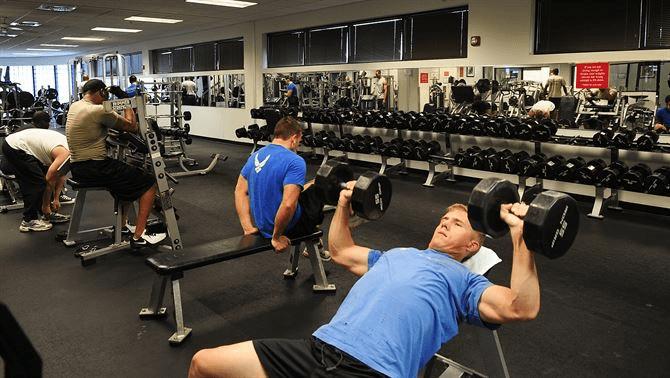 It is an anaerobic exercise that follows the methods of progressive use of weights. There are a set of physical exercises used in strength training. In this program, there will be different equipment and a set of exercises to target every muscle group. Just about any kind of athlete can improve their performance by implementing strength training. Strength training is a form of physical exercise that will benefit both your body and mind. Till now everyone has thought that Yoga is the only training that can give both physical health and inner well being. If you perform strength training well with proper guidance your ligaments, muscles, and tendons become strong. As I mentioned earlier you will feel strong and confident to achieve the goal. For example, if you are someone who wants to lose weight you will feel confident that you will be able to touch the finishing line easily. Along with muscle mass, strength training also gives mental strength to continue the training. Research has proven time and time again that strength training can boost brain power that can be used to treat diseases like dementia. Sometimes you may feel that you worked out too much but after some sessions, you will gain the strength to work more. You will find that the jobs that were difficult before have become easy after strength training. Even though bodybuilding is the main benefit of strength training, you achieve many other benefits like strong cardio muscles, strong bones, and better body shape. Strength training helps in losing weight because it increases the rate of calorie burning even when you are not working out. This also helps you to maintain your weight. Another important benefit you get from strength training is the resistance capacity of your muscles. 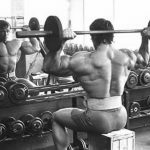 Since bodybuilding through this training method includes contracting your muscles against resistance to tone them, your body will become stronger. For example, when you jump from a height your muscles will be ready to accommodate that pressure if you work out regularly. Squats are a compound movement that helps increase strength and balance. Squats target core muscle groups that include the glutes, hamstrings, quads, and back. Deadlifts are another compound movement that will give you core body strength. Deadlifts work just about every muscle in your body. 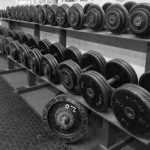 In fact, if you are struggling with trying to improve how much you can bench, the deadlift is one of the best exercises to help you gain more strength and help you bust through strength plateaus. Rack Pulls are another core exercise that will increase back strength and give you core body strength. Rack pulls can also help improve grip and deadlift strength. 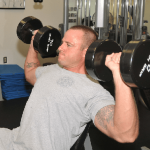 The bench press is just about everyone's favorite exercise, both men and women can benefit from strong pectoral muscles, and it can help reduce sagging breasts in women. Many people underestimate the benefits of strength training, it is not just for building muscle, it is essential for improving body coordination, strong bones and can help maintain healthy cardiovascular health.